Are you thinking about having new kitchen cabinets installed? While you can go to your local warehouse store and find an array of options to choose from, have you thought about custom cabinets? While painting your existing cabinets or purchasing stock cabinets may seem like the best option, these aren’t long-term investments. The fact is, custom cabinets are becoming a more popular investment because they are worth the money. Not convinced? If this is the case, then get to know some of the specific reasons to invest in custom kitchen cabinets here. From the handles to the joints, modern custom cabinets are designed to last. If you purchase stock cabinets, then they are going to be made from lower quality materials, and typically assembled using glue and screws. When you find a custom cabinet maker and hire them to design and build your custom cabinets, then you can feel confident only the best materials will be used. This minimizes problems both now and in the future. Thanks to the fact that you can customize the cabinets, you can have options designed that fit your needs and style. You have creative liberty to choose the material used, style of the cabinets, finish, and hardware. You can also choose the width, depth, and height of your cabinets to help optimize their functionality. The fact is, there’s an unlimited number of combinations. Traditional stock cabinets are not able to compete with this high level of quality and customization. The space in your kitchen is valuable, which means you can’t afford to waste it. 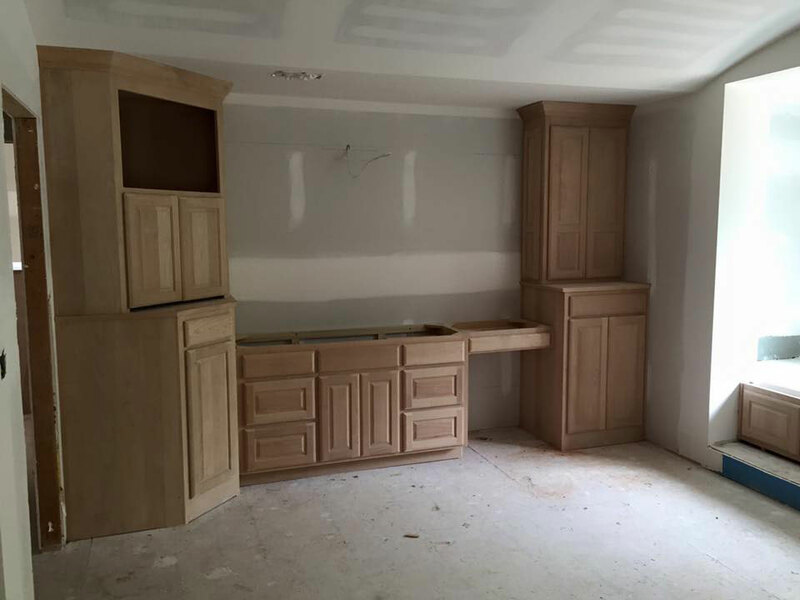 There is absolutely no wasted space when it comes to the installation of custom cabinets. When you order custom cabinets, they will be designed to fit in your kitchen – stock cabinets are pre-sized. This means you can feel confident that your dishes, utensils and appliances all have a place. This provides you with more counterspace. Put simply – this is going to increase the overall livability of your home’s kitchen. Do you plan to sell your home any time in the near future? Do you want to increase your home’s value? If so, custom cabinets are a great option. Not only are these cabinets really going to add that “wow” factor to your home, but they are also going to increase the value of your home. It’s a win-win investment. If you are like most people, you use the cabinets in your kitchen every day. As a result, you should not settle for stock cabinets that are going to deteriorate rather quickly. Instead, opt for beautiful, durable custom cabinets for your kitchen. You won’t be disappointed if you take the time to choose the right custom cabinet professional. If you keep the tips and information here in mind, you can feel confident that custom cabinets are the best option for your home and that they offer the most value for your home.